The Hour of Code is coming December 8 - 14, 2014 and is our opportunity to join the largest learning event in history. It is a one-hour introduction to computer science, designed to demystify code and show that anyone can learn the basics. Coding lessons will be available to all Pine Glen Students, using their iPads, during this week and we are encouraging teachers and students to participate. For more information about this global event, please watch the video below and/or visit the website The Hour of Code. Here are some sample coding exercises Coding Exercises for all age groups, as well as specific elementary grade ranges. Give it a try! Please contact Michelle Ardizzoni(email) Pine Glen Instructional Technology Specialist, for Hour of Code support in your classroom. Enjoy this video from the students at Mountain Desert Island High School in Arizona, as they perform their parody "All About Those Books" to artist Meghan Trainor's song "All About the Bass". 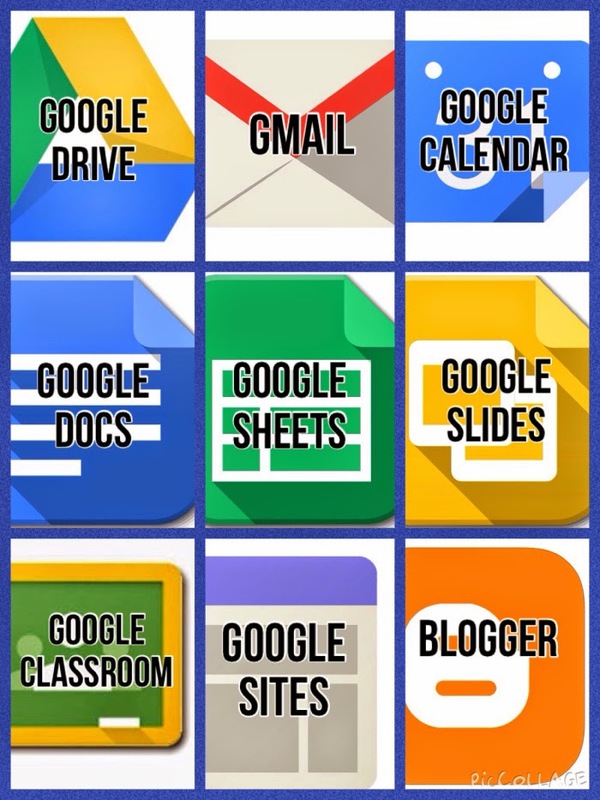 Second grade students are learning about what it means to be "online" and how to safely visit "just right" websites on the internet, meaning those that a teacher, parent, or guardian has given permission to visit. Students experienced how far reaching the internet spans, both by observing locations labeled on a globe and via websites. We visited two "just right" websites, one was their homeroom teacher, Miss Varrell's blog and the other was the Huston Zoo, specifically the Houston Zoo Animal Webcams. Our fourth graders have been so excited this week! They have been learning about Lady Liberty in multiple academic classes, leading up to a collaborative project, incorporating Social Studies, Art, and Technology. Our students "became" the Statue of Liberty, standing tall against the New York skyline, embracing their slogan of freedom or right, as a US citizen. In summary, the project starts with the Massachusetts grade 4 Social Studies curriculum taught by our fourth grade team of Ms. Sarah Hayes, Mrs. Sarah Visocchi, and Mrs. Anna Lisa Finn. Building on that knowledge, students work with Ms. Courtney Fallon, Pine Glen art teacher, to design and create their Lady Liberty crowns. Armed with their right or freedom written on a white board, students pose in front of our green screen, and using the app Green Screen by Do Ink, and guidance from Mrs. Michelle Ardizzoni, Instructional Technology teacher, compose a picture of themselves as the Statue of Liberty in New York Harbor. Take a look. This week, our Pine Glen third grade students have been visiting the computer lab to use the www.plimoth.org website to support their research of the Wampanoag, the English Colonists, and the first Thanksgiving. Students used the "Interactive Thanksgiving Activity: You are the Historian" to experience the sights, sounds, and way of life that these groups led back in the 1620's. Our students demonstrated their ability to use technology for research while further enhancing their Social Studies content lessons on the history of Massachusetts. BPS Education Technology will be holding its second Tech Savvy Parenting Night, "Converting to the Cloud" on Thursday, November 18th at Marshall Simonds Middle School from 5:30pm - 7:30pm. Registration for this event is free, however for planning purposes, we do ask that you RSVP through Evenbrite and indicate the number of people who will be joining you (your children are welcomed at attend as well). Please bring a device with you to the event (laptop, tablet, Smartphone, etc.). If you do not have a device, please contact Jenn Scheffer, BPS Mobile Learning Coach, jscheffer@bpsk12.org and she will arrange for you to have a device for the evening. Our kindergarten students visited the computer lab on Friday with the purpose of gaining practice using the desktop monitor, headphones, mouse, and most importantly having fun building their "wild self." Integrating technology terms and instruction, students navigated through the Build Your Wild Self website where they enjoyed building their human self and then adding various animals parts to their character. They have just completed learning about the various animal families that exist and this activity was a great tie-in. Looking at these pictures you can see students working and they have a little help from a yellow smiley face. On each of the "mouses" in the lab, there is a yellow smiley face sticker to help our students know where to place their finger, and where to "click" in order to make their action occur on the website. Even in the time of such technology, a little sticker from a teacher can still make a big difference. Fourth grade students in Ms. Hayes' class had their second Explain Everything lesson on Thursday. Explain Everything is a foundational iPad app that all Burlington elementary students have installed on their student iPads. 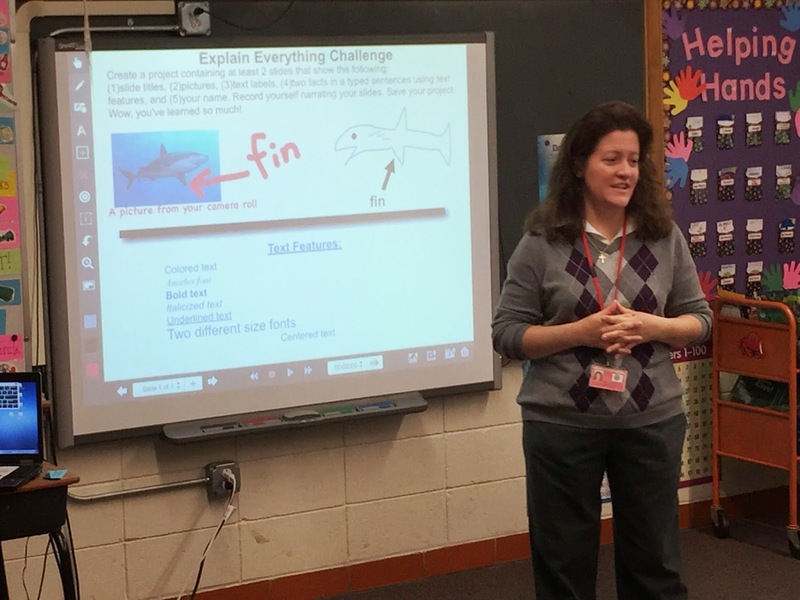 During this lesson, students were presented with an "Explain Everything Challenge" where they were asked to use features taught previously, and create a project following the challenge guidelines. Students were engaged while working on the challenge and after gaining proficiency with this app, they will be using their knowledge to create future Explain Everything projects in various subjects.